During the Ebola epidemic in West Africa (2014 - 2016), the development of diagnostic tests gained momentum. This is important, because the tests play a crucial role in rolling back Ebola outbreaks. Currently, only four of the 14 tests developed are immediately available. Researchers from the Institute of Tropical Medicine (ITM) are researching the cause of this problem and its possible solutions. Their findings are published today in Nature, the leading science journal. With more than 630 confirmed cases and more than 350 deaths since August 2018, the current North Kivu (DR Congo) epidemic is the second largest Ebola outbreak ever. During the West African crisis, several companies focused on developing diagnostic tests. Fourteen were approved by the US Food & Drug Administration or the World Health Organization. Today only four tests can be used immediately, according to a survey by ITM researchers. For the others the waiting time is going to be long. In some cases, there was no response to the request for tests. "We have contributed to the development of a new Ebola test, but now, two years later, the test is not readily available," says Dr Lieselotte Cnops from ITM about the reason behind their research. 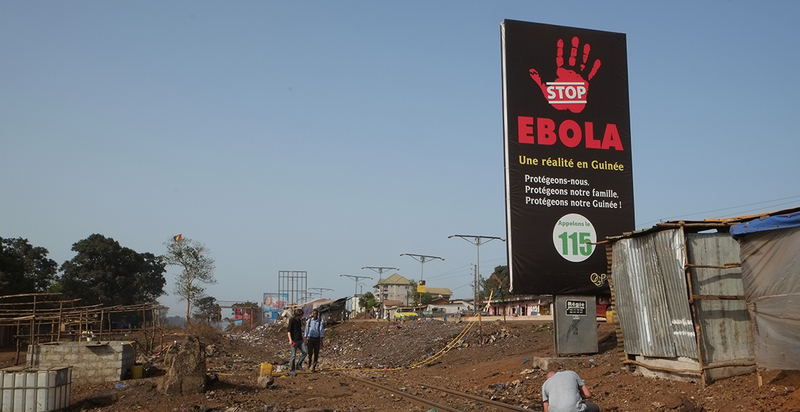 "Despite a lot of investment, only a few Ebola tests are available." During an acute Ebola outbreak, there is a great need for reliable and continuous screening. However, companies find it difficult to maintain the production of tests when there is no outbreak. Every time there is a new epidemic, the demand suddenly skyrockets, and companies are unable to keep up. Moreover, the costs of producing and distributing the screening tests are higher than the revenues. "We plead for an overarching and integrated approach that streamlines the entire process from development to ultimately, the use on site. A kind of global alliance where tests are partly financed by governments and international organisations. Such a body already exists for vaccines, but not yet for diagnostic procedures," according to virologist Prof Dr Kevin Ariën. "Moreover, the use of the tests in surveillance programmes could mean a larger sales market, with the added benefit of being able to offer a fast response in case of a local epidemic." The findings of the researchers are published today as ‘comment’ in the science journal Nature. Diagnostic testing plays a crucial role in helping to control the spread of Ebola. Without these tests it is impossible to trace new cases, investigate how long the virus remains active in survivors and determine the cause of death. During the current epidemic in DR Congo, ITM supports its partner INRB and the Congolese Ministry for Public Health in epidemiological surveillance and diagnostics. ITM experts and outbreak research team are sent under the flag of a.o. the World Health Organization to help contain the epidemic.